Our state Association, now known as the Indiana Student Financial Aid Association, had its humble beginnings in 1935. At that time, the Indiana General Assembly passed legislation that mandated that fee remission awards be made to students on the basis of competitive testing. In search of fairness and continuity and perhaps a touch of wanting to keep "big brother" government at a distance, the four state universities agreed to complete the testing required for these fee remission awards. In the 1940’s, our state Association, through its membership, was instrumental in the creation of what we now know as the "Financial Aid Office". Prior to this separation, financial aid was a stepchild of student services. It was during the 1940’s that the financial aid function was recognized as an individual office and her functions were separated from those of the admission’s and registrar’s offices. Private colleges and universities were invited to join the Association in 1952. The Association’s constitution was rewritten several times until the early 1980’s, when some far-sighted individuals convinced the Association to switch from a constitution based organization to one of by-laws. This switch enabled the Association to make more immediate updates to our policies as warranted by the climate of the times. What we were then and what we are now is a professional association, a forum for the exchange of ideas, a support group, and a vehicle for communication with other groups and the public at large. Above all, ISFAA's primary goal is to help students achieve their educational potential by providing appropriate financial resources. 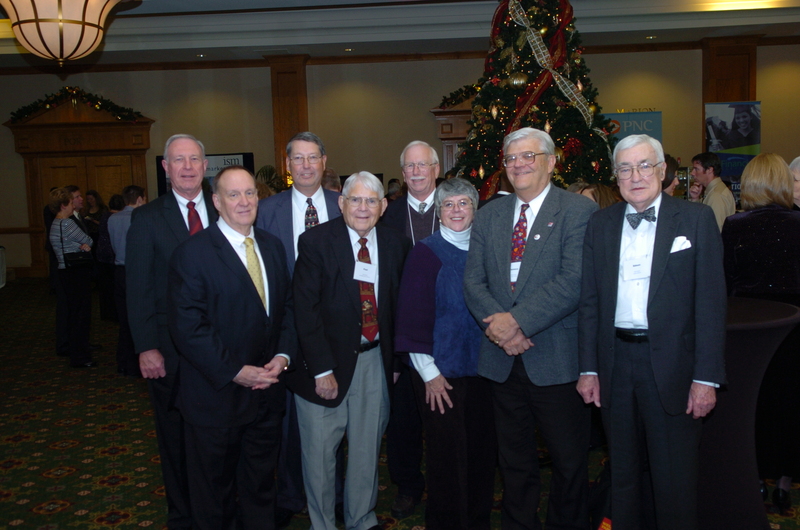 Former ISFAA Presidents during the 75th anniversary celebration. 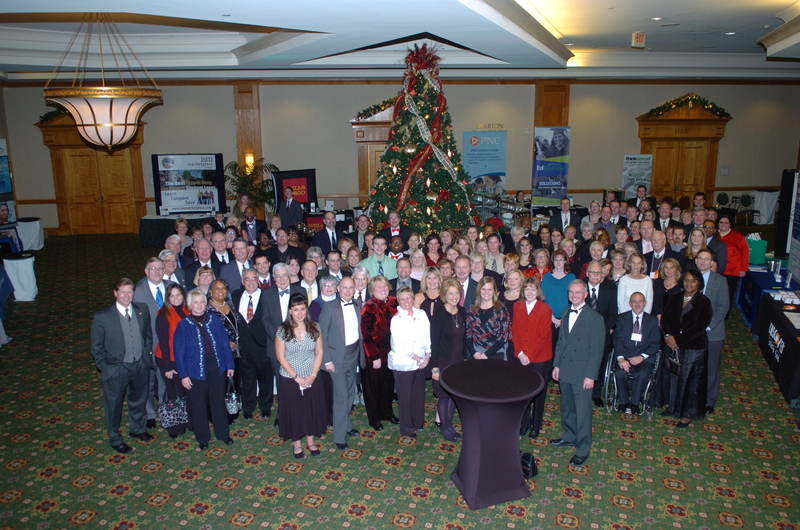 Attendees of the 75th anniversary celebration. 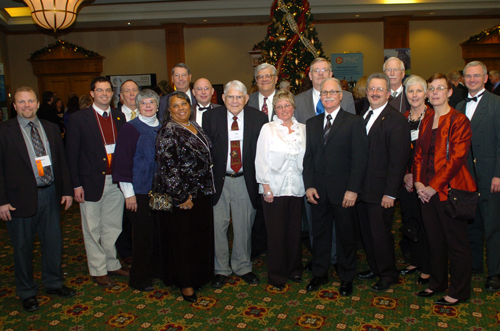 ISFAA Retirees during the 75th anniversary celebration.